It was a wet weekend, but I was very excited to be back in Aiken! I made the trip to Full Gallop to groom for their January HT. They’ve made a lot of impressive changes at Full Gallop since the last time I was there. Quite a few new cross country fences made their debut including a massive ditch and brush that gave me bystander fear. But they put a lot of effort into the venue and it definitely shows! Sierra moved Zach up to Preliminary, taking second place! Our group had big successes over the weekend. It was fun to cheer everyone one, even though the rain literally didn’t stop all day. Thank god it was warm. I will say, being back at a typical competition makes me really miss competing. I love watching and helping, but it doesn’t quite make up for not doing it yourself. Hopefully I can find myself back out there soon. sounds like a great weekend, even if it was a little damp… i love spectating and grooming for my friends but agree that nothing quite beats getting to ride myself too! hopefully you find yourself back in the show ring sometime soon! Yes! I appreciate being there but would’ve loved to ride! Glad you got to see the changes and improvements at Full Gallop. Seems like a great venue! I absolutely understand this sentiment. I love being at shows, watching and helping, but then that old itch starts up and you just want to get out there. I hope you get the chance soon. "Justin" is a 2003 backyard mutt. What he lacks in elite breeding he makes up for with his heart of gold. He will jump the moon for you, but he may also try to buck you off on the landing. 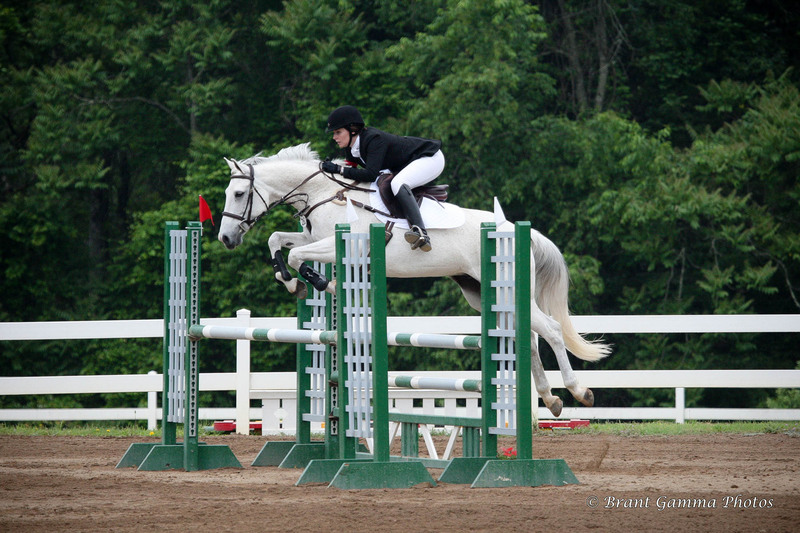 I started riding him in 2012, and we currently compete in eventing. Feeling thankful for the 1,869 days we’ve spent together + excited for a lifetime of days to come. Kody, I can’t wait to be your wife.